Call 870-425-6189 and we will build your cover to order and ship it in 4 to 6 weeks. Deans covers are made using a state of the art, American made marine canvas called AQUALON EDGE. This vinyl coated polyester canvas is water proof, very strong, dimensionally stable and carries a seven-year manufacturer’s warranty. It’s unique coating not only resists peeling, cracking, fading, and mildew, it also reduces heat gain, keeping surface and interior temperatures cooler. Deans joins this canvas with double seams using GORE TENARA Thread which is warrantied to not be damaged by exposure to sunlight, weather or water during the lifetime of the fabric. 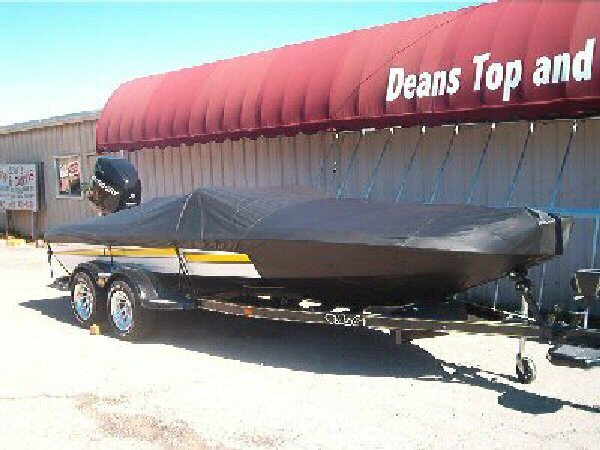 With an appointment you can drop your boat off in the morning and pick it up the same afternoon with a custom cover tailored to your boat. Deans Top and Canvas celebrating 49 years at 3748 Hwy 5 South, Mountain Home. 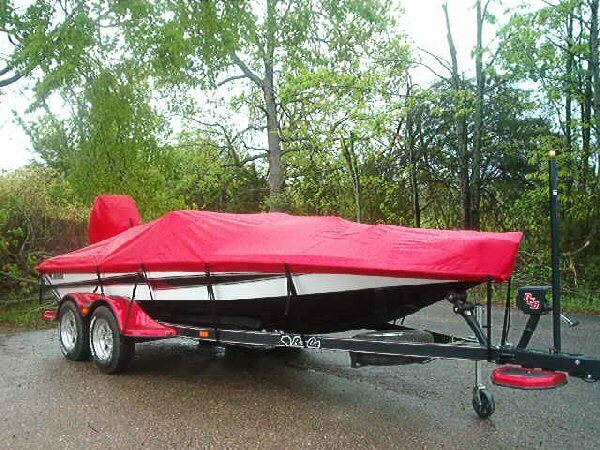 This Vinyl Coated Polyester canvas has been the standard for strong, long lasting, waterproof towing covers for over twenty years. If you have a factory cover that lasted more than five years it is probably this marine canvas. But better material is only half the story, a better fit is just as important. If your boat is listed above it is because we have fit a pattern to your boat. 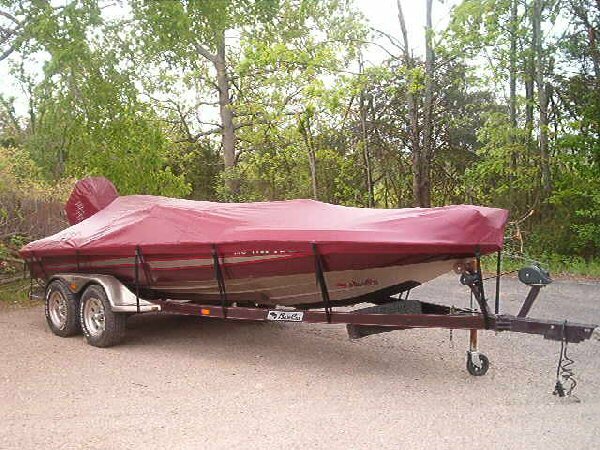 Our Aqualon Premium Towing Covers are heavily reinforced, come with quick disconnect straps and buckles, and a ratchet system in the hem.